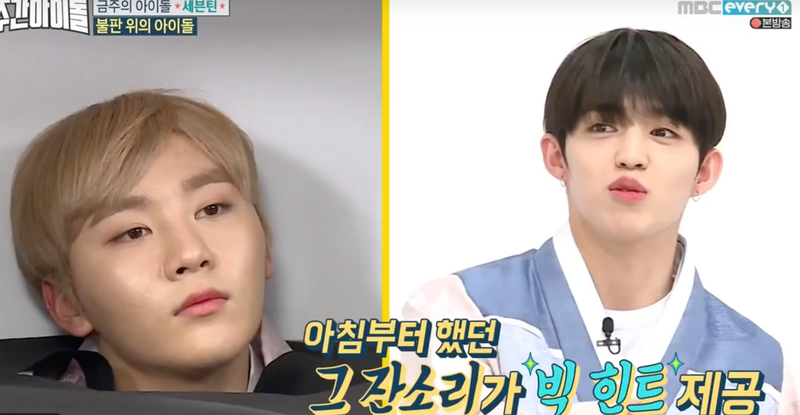 Seungkwan made it easy for the other group to win because he did not listen to his leader in the morning. 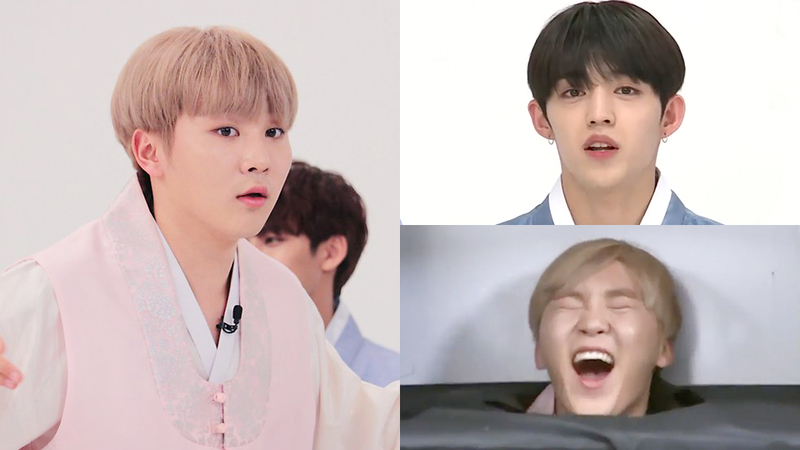 SEVENTEEN appeared on 'Weekly Idol' and played a game to guess the member in the box after being divided in their teams. First member up from vocal team was Seungkwan and his members made sure to have him removed his earrings to made it difficult for the other team to guess. Hoshi and S.Coup were touching Seungkwan's face when S.Coup reached towards Seungkwan's chin and immediately guessed it right. S.Coup explained that, "Seungkwan did not shave this morning so I asked him 'Why didn't you shaved?'" The MCs went forward and checked it from themselves too. Watch the moment in the video above!